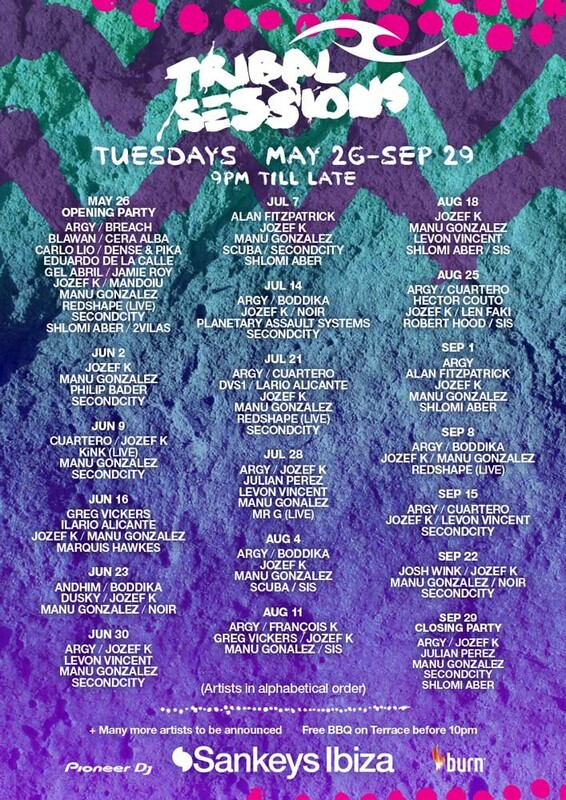 Tribal Sessions is back for 2015 at Sankeys Ibiza’s flagship night, offering up 30 Ibiza debuts from their phase one announcement, alongside their residents. The night is built around two weekly residents, firstly Greg Vickers young protege, Jozef K and Ibicenco Manu Gonzalez. Greek house and techno DJ Argy will also be joining the team this summer. He has released albums and singles and shows no signs of slowing down. Argy performs 12 shows in the LAB. Secondcity plays 10 shows in the basement. While other regular guests on rotation include Be As One label boss Shlomi Aber, who’s back at the controls for five shows. New York’s Levon Vincent has four dates as does Non Plus boss Boddika and Spanish artist Cuartero. Original Tribal Sessions resident Greg Vickers returns again for three world exclusive dates for 2015 after his displays at Sankeys Ibiza last summer. Danish label boss Noir has three shows over the season as has Alan Fitzpatrick and Redshape. German star SIS is playing four shows and Scuba makes his debut with two shows as does Cocoon’s Ilario Alicante and Fuse regular Julian Perez. 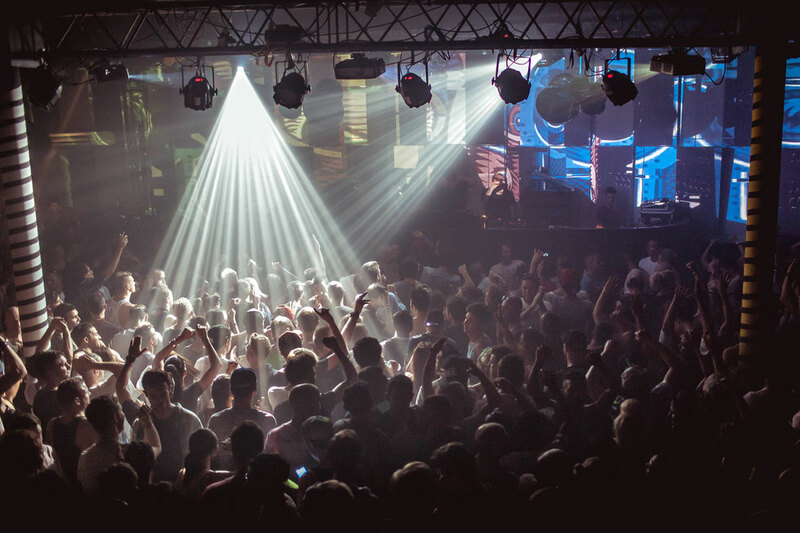 The whole season will be book marked by a huge opening and closing party and in between more than 60 different artists will be taking charge of the Ibiza club. 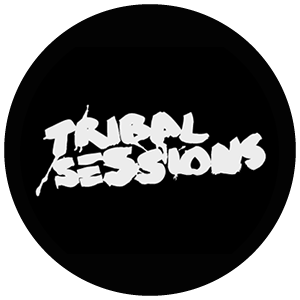 Tribal Sessions will follow suit from last year with the party starting at 9pm with a free BBQ on offer for those who get down before 10. It all kicks off on 26 May with artists like Argy, Breach, Blawan, Cera Alba, Carlo Lio, Dense & Pika, Eduardo De La Calle, Gel Abril, Hunter Game, Jamie Roy, Jozef K & Winter Son (808 & 909 set), Mandoiu, Manu Gonzalez, Redshape LIVE, Secondcity, Shlomi Aber & 2 Vila. The season finale comes on 29 September with a line up that includes Argy, Jozef K, Julian Perez, Secondcity, Shlomi Aber and five unannounced special guests. In between those two events, guests include London production duo, Dusky for one show, experimental and broken beat producer KiNK returns again this summer for one show, also added to the June line ups for one show only are Germans Andhim. The night also welcomes artists like New York pioneer Francois K, Berghain regulars Len Faki, Redshape, Planetary Assault Systems and DVS1. Detroit techno’s Robert Hood will be presenting his Floorplan project, look out for Dixon Avenue Basement Jams’ rough diamond Marquis Hawkes, Mr G who will perform live, and Josh Wink. Hector Couto, last year’s Tribal resident will also return to play at the club on 25 August for his birthday party, as does Moonharbour’s Philip Bader.